Hello sweetie! Recently I'm keen in searching for lip balm products which I finally realize that lips color are much important to complete the makeup. *Hehe..I'm a makeup beginner.! 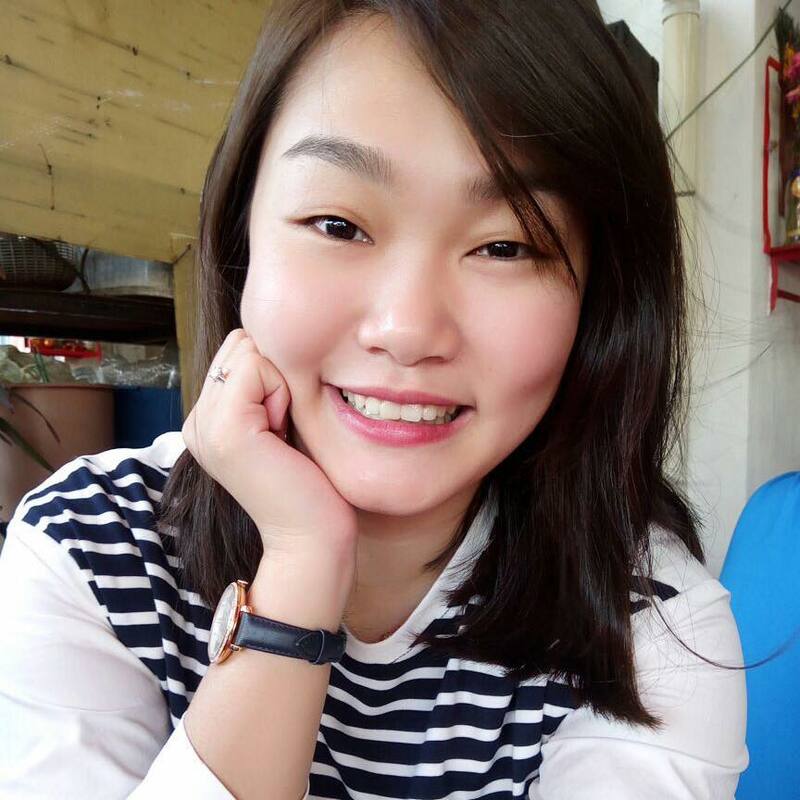 Previously, I wasn't like to apply any lip balm due to my dry lips and the feeling is so bad when the lip balm do not moisture your lip instead of make your lips feel so tight and uncomfortable. 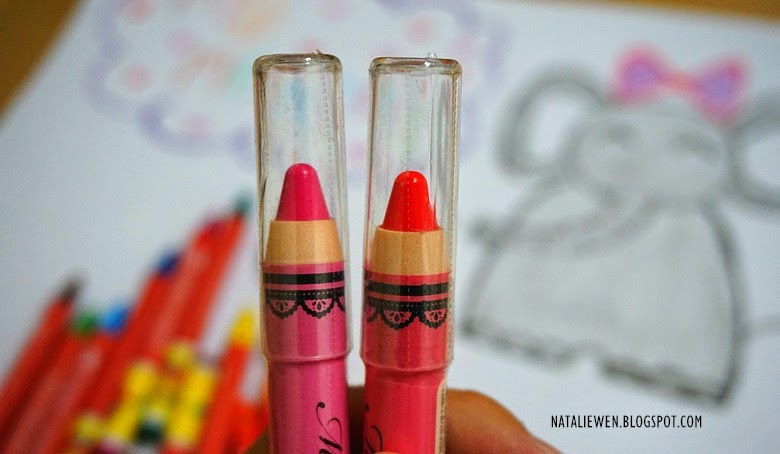 Surprisingly, Natta Cosme send me this lovely parcel and now I'm going to share with you guys an amazing lip crayon product which specially suitable to girls who have dry lips like me! > < ! 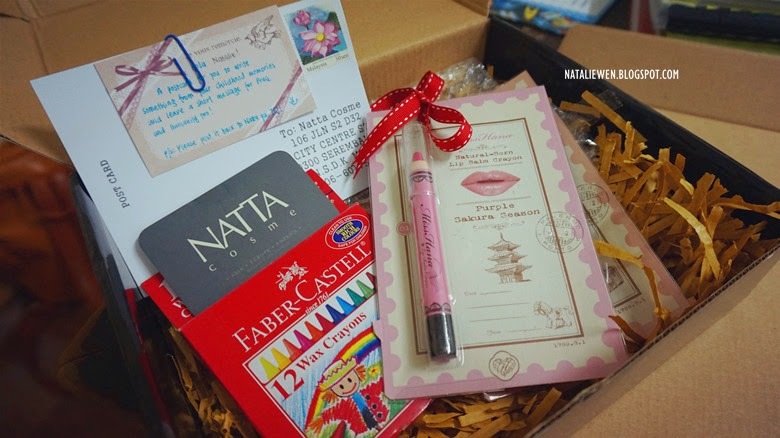 The lovely parcel including two Miss Hana Lip Balm Crayon and a box of Faber Castell Wax Crayon, courtesy of Natta Cosme. Thanks you! 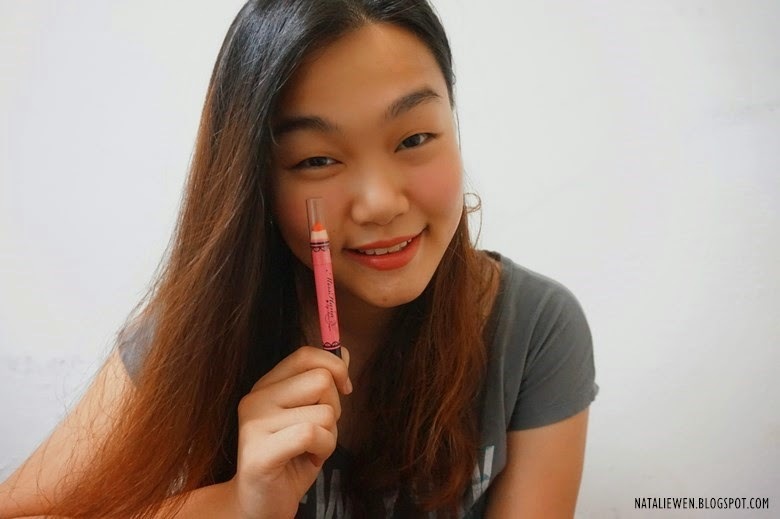 Miss Hana is a popular cosmetics brand in Taiwan, their bestseller and signature product is Miss Hana Eyeliner Gel Pencil. Click Here if you would like to know more. 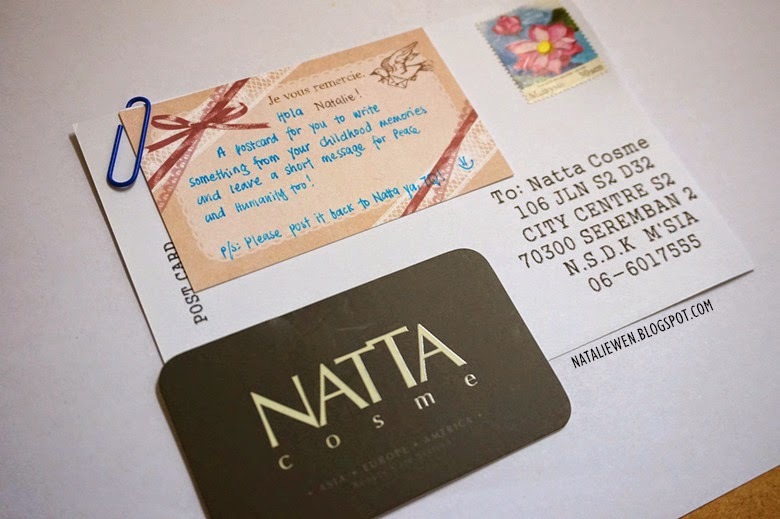 Recalling your childhood memories together with Natta Cosme! Thanks for the meaningful activity! The Crayon artwork from me! 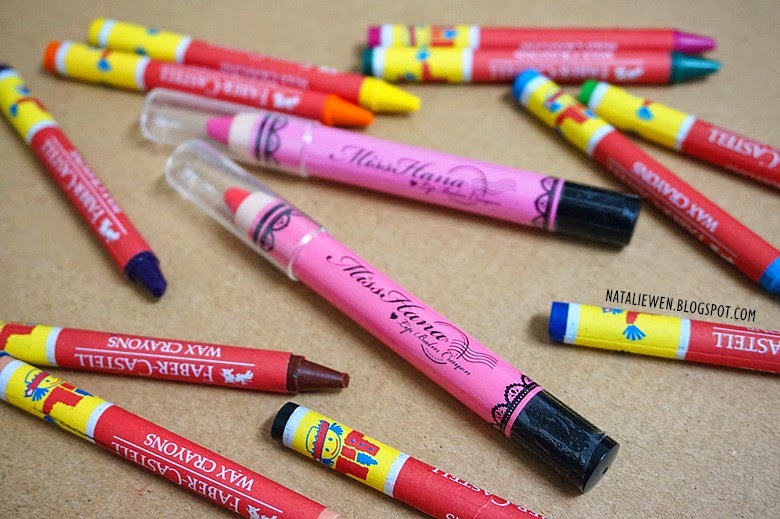 The design of Miss Hana Lip Balm Crayon just alike with a Jumbo Crayon in my childhood time! Elephant ! 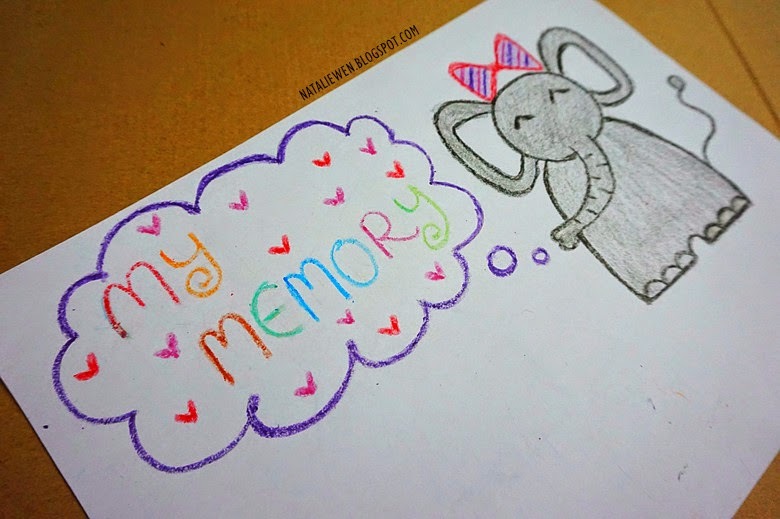 The favorite animal which I like to draw when I was a kid! Cute, isn't? 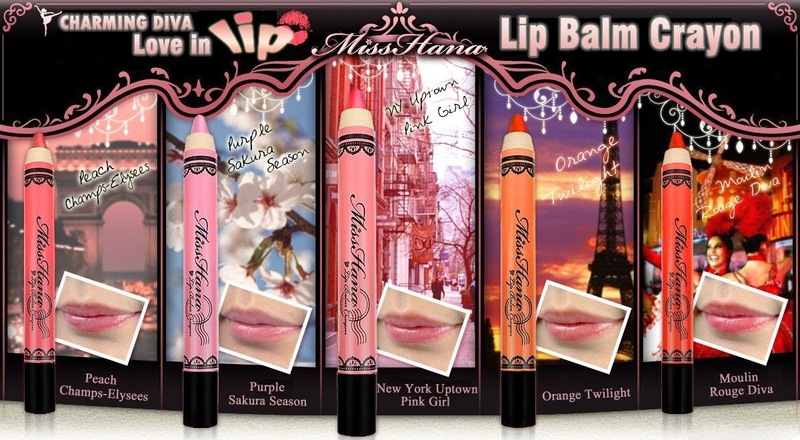 Miss Hana Lip Balm Crayon lip available in 5 shades as shown in below: Purple Sakura Season, New York Uptown Pink Girl, Orange Twilight, Peach Champs-Elisées and Moulin Rouge Diva. The shades that I get from Natta Cosme is 01 Purple Sakura Season and 02 NY Uptown Pink Girl. I'm so in love with their packaging, it's so cute and girly with all the lace design and italic wording. 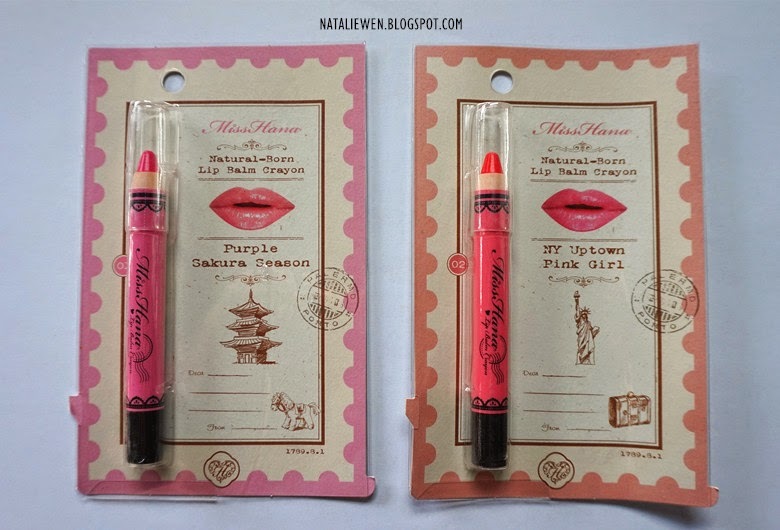 Vintage Post Card Packaging design for Miss Hana Lip Balm Crayon. Hello to the Jumbo size Crayon from Miss Hana! Cute izzit? The lip balm texture is so smooth and moisturize to glide on. It has a nice scent which make you feel comfortable with. 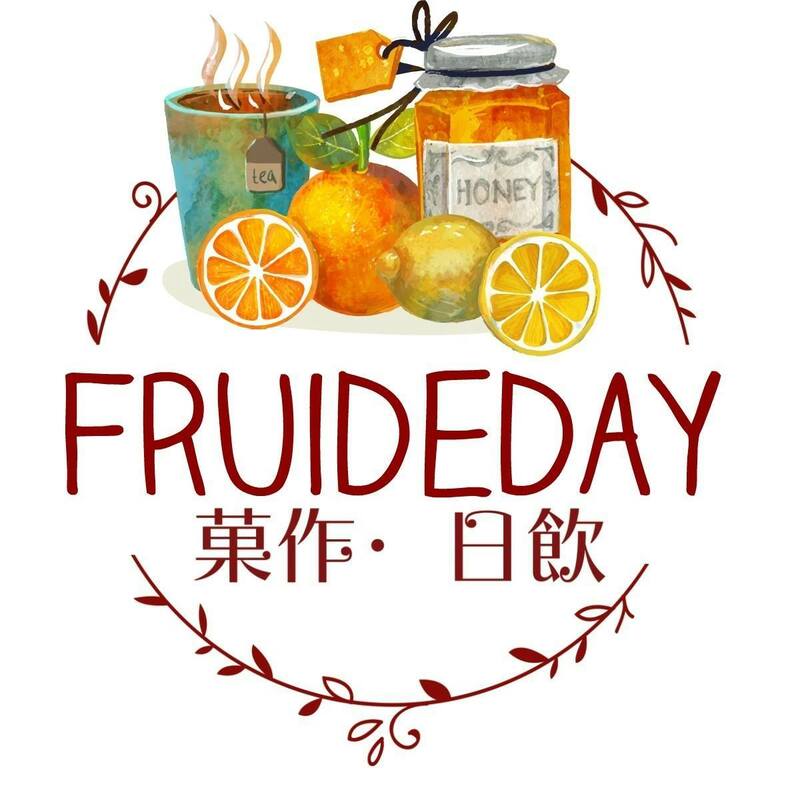 For me, the scent is a little bit alike with fruity scent! Surprisingly to say that, the lip balm work perfectly on my lips, it moisturize my lips and I did not feel any stickiness and uncomfortable with it! Thumbs up! The moisture rich formula with Rose Fruit Oil, Aloe Leaf Extract and Vitamin E which helps to repair dehydrated lips and increase our lips color! It's super easy to apply on it thus no worry for makeup beginner! The lip balm color is so pigmented and it will look exactly the same color after you apply it, do not need any concealer to brighten it up! However, it smudge easy and do not long lasting. It can last for at least 3 hours if you do not have any meal. Besides, one of the inconvenience is the lip balm was not a twist able lip balm thus you need to use sharpener to sharpen it. 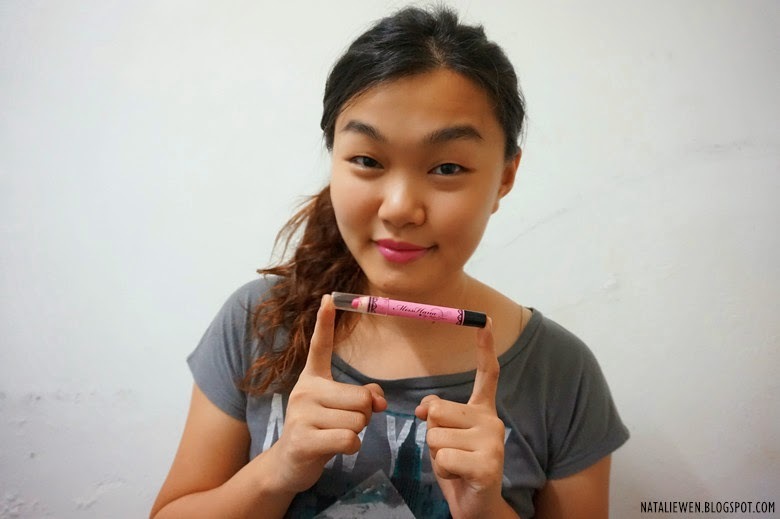 I'm wearing the NY Uptown Pink Girl shade, peach orange color which bring a natural look and suit my skin tone much! Love this! I no longer need to go thru the steps of apply lipstick and lips tint anymore! 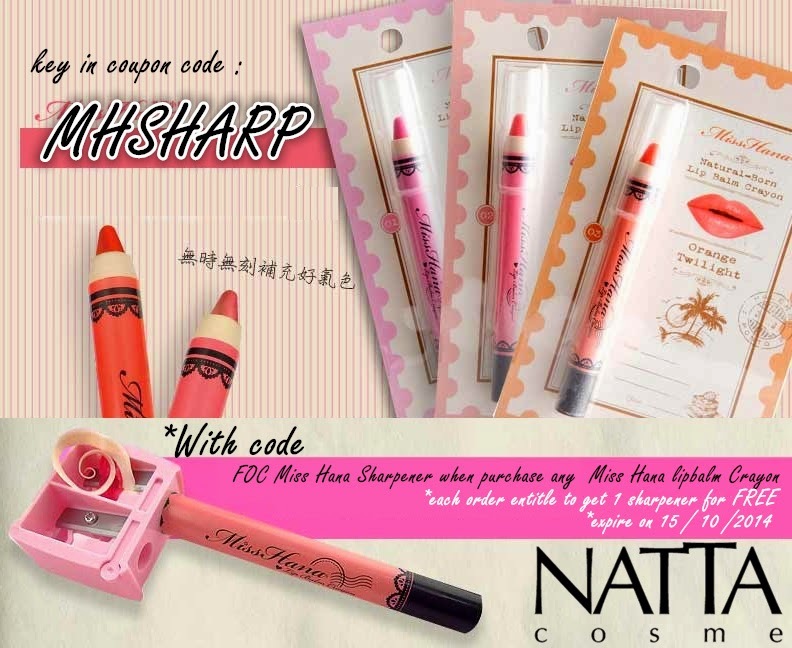 Miss Hana Li Balm Crayon provide me more function with a single step! I'm wearing the Purple Sakura Season shade, the first impression in my mind about this shade is Omg! the shade is so so pinky! The pink tone make me feel like I'm a Barbie girl, in the Barbie world! But frankly speak that the color is well pigmented, looks pretty and shinny! 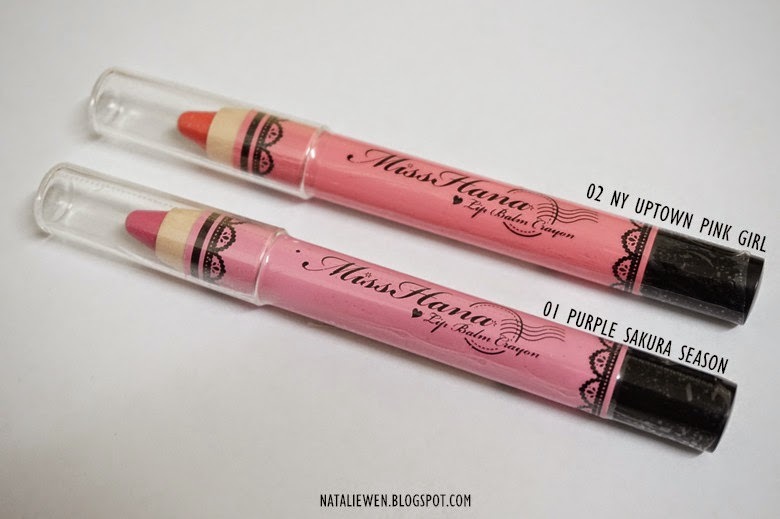 Last but not the least, I must say that Miss Hana Lip Balm Crayon suitable for people who having dry lips problems! It's worth for trying! Good news to all the readers!